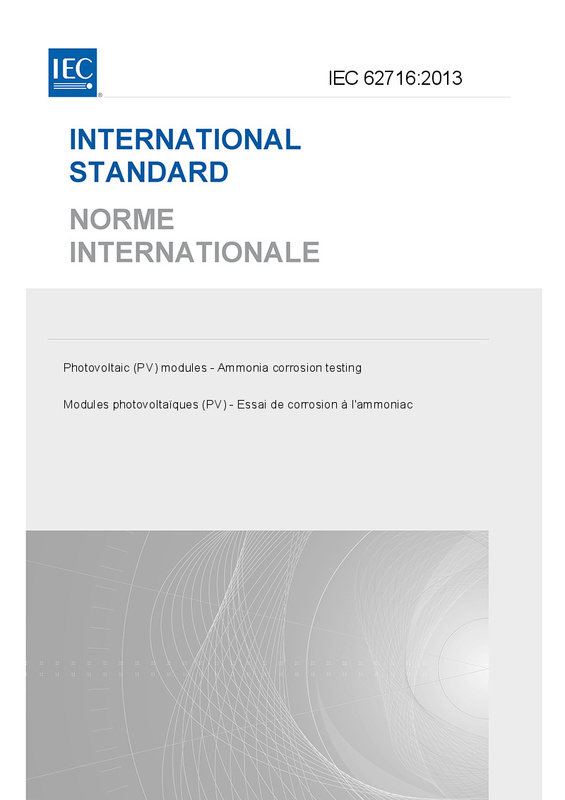 IEC 62716:2013 describes test sequences useful to determine the resistance of PV modules to ammonia (NH3). All tests included in the sequences, except the bypass diode functionality test, are fully described in IEC 61215, IEC 61646 and IEC 61730-2. They are combined in this standard to provide means to evaluate possible faults caused in PV modules when operating under wet atmospheres having high concentration of dissolved ammonia (NH3). The contents of the corrigendum of May 2014 have been included in this copy.